Here at ICBND, we have committees to help plan and evaluate all of our programs, events, membership benefits, and governance. Learn who helps make these decisions below. If you are interested in serving on one of these committees, please contact us. This committee will monitor state and federal farm credit issues, regulations, and legislation—and advocate farm credit proposals that would be beneficial to the members of the association and their customers. 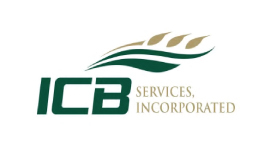 This committee will also serve as an advisory committee to the ICBND School of Agricultural Lenders. This committee insures an annual budget for UCBD. 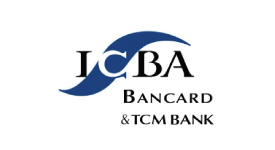 Each of its subsidiaries is prepared and submitted to the ICBND Board of Directors. They will also review and recommend any changes to the personnel policies and benefits offered to the ICBND staff and present to the Board of Directors annually. This committee will solicit, receive, discuss, review, and develop general concepts, guidelines, and themes for membership and potential membership mailings and publications. This committee also manages ICBND’s advertising and public relations programs, and oversees the ICBND website and The Community Banker newsletter. This committee is responsible for planning and supervising our Annual Convention and Exposition. This committee surveys, recommends, evaluates, and supervises educational activities of the association. This committee is responsible for the planning and supervision of the Emerging Leaders Development Program annual sessions and for its curriculum. This committee is concerned with legislation and regulations—both state and federal—regarding independent banks, and shall make recommendations to the Board of Directors. This committee may take action on such existing or proposed laws as may affect the interests of the association’s membership. This committee shall search for, evaluate, and make recommendations of vendors for products and services for the benefit of the membership of ICBND to the Board of Directors. They will also review any current vendors for possible endorsement. This committee reviews bank charter membership eligibility and the dues structure for recommendation to the Board of Directors. This committee shall oversee the distribution of PAC donations to delegates currently running for state office. This committee is responsible for reviewing and drafting resolutions and proposed changes to the by-laws. The efforts of this committee shall set forth the direction which the associating follows from convention to convention.